I live for the movie Pitch Perfect. I've seen it so many times, I almost have it memorized...kinda like Clueless. The only way to keep my sanity this year was to make numerous To Do lists. I first did them on post it notes but since I bought an iPhone I do it all on Evernote and can sync it to my iPad and Macbook. Evernote is one of the best inventions in the history of inventions. I've checked so much stuff off my to do lists...but then keep adding more...it's an endless cycle. Seriously...as I type this I keep switching over to my Evernote account and adding stuff to my to do lists...Mostly just ideas but I don't want them to get lost in the swirl of crazy I call my brain. We REALLY must get on the whole packing thing. We move in about 20 days. We both work in Massachusetts. I work in Bedford and Mr. Roboto works in Boston. I have a 2 hour travel to work everyday...and 2 hours back home. It has been incredibly draining and exhausting...so we are moving to be closer to our jobs. We found a great loft that takes dogs so Ben will be very happy....We really need to pack. I want someone to pack for me. But because I'm a little bit of a control freak...that's never gonna happen. I have a really strong visual and tactile memory. I know exactly where something is if I touch it and place it somewhere. So, if someone else packs for me..I'd flip out...not knowing where stuff is stresses me out...which is why I was a mess when dear Ben went missing for a day. Oh, how I miss Texas. I don't miss the 100 degree weather. But I do miss my friends and family. My best friend from college just had a baby girl and I missed it all. The birth, seeing her pregnant...everything. That hurts. I know that when/if I get pregnant I want to be surrounded by the love and support of my friends and family...it crushes me that I couldn't be there with her. That's why I'm in need of a plane ticket home. Hopefully, I can find some time in August and make my way back to the Lone Star State. I don't have any blogging tricks...I mostly steal mine from other bloggers or Pinterest...I'm always a buck late and a dollar short when it comes to finding the newest/best way to do something. 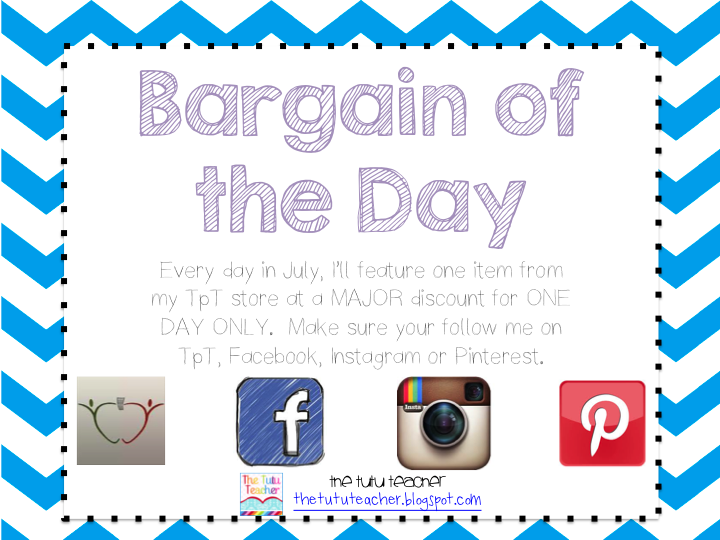 So I only have a hint, you are going to want to make sure you are following this blog somehow...because you do not want to miss my Bargain of the Day. I love finding new blogs this way. I hope you are able to visit Texas and see your friend's baby girl soon. My mind can't even wrap itself around a two hour commute. That's crazy!! So glad you're moving. Hopefully you'll get a chance to come down. We got crazy cheap tickets for this summer to Boston through Southwest. Good luck with your move! I did an hour long commute for one school year and about died. I was just so tired and felt I had to leave right after school to miss as much traffic as possible, but needed to stay at school... now I have a seven minute commute...and I just LOVE that. So good luck with your move!! That being said, I spent one week in Newport, RI two years ago and LOVED it there- so I can imagine it is hard to leave such a picture perfect place with all those beautiful homes. Hope you get to visit Texas soon! I drive 50 minutes each way to work and I don't think I could handle another minute!! I can see why you are moving. I know the packing and unpacking aren't going to be fun, but you will be much happier!! 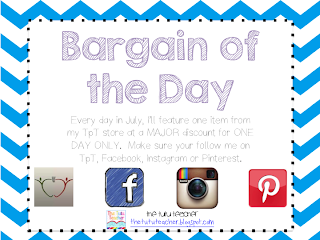 Great idea having a Bargain days. Just stopping by for July Currently. WELCOME!!! I'm your newest follower! Drop by when you get a chance! Happy 4th of July!